Brains? If you've ever played Plants vs. Zombies, then you already know that brains are a delightful treat for our undead brethren. 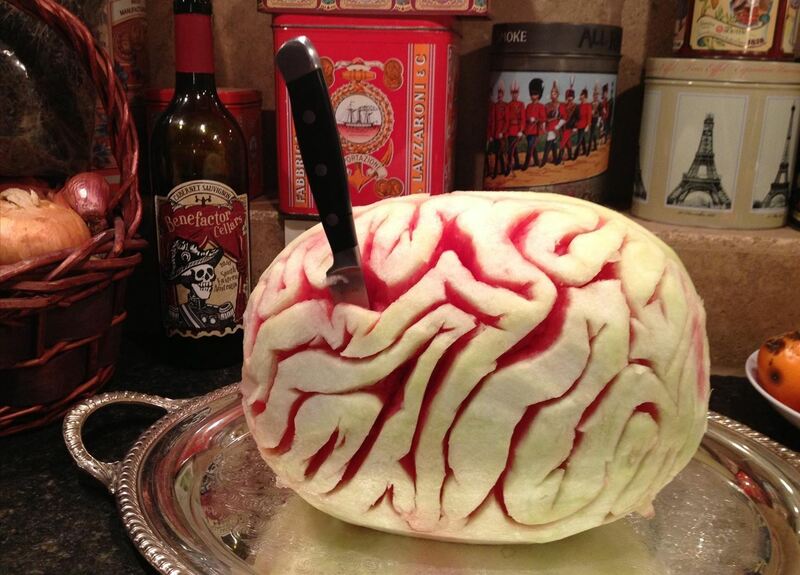 For those of us still living, we can still indulge in some brain-related dining for Halloween next week. If you're holding a dinner party or just want to make some cool, creepy looking fruit, then this DIY Watermelon Brain is perfect. In order to create this delicious dish, all you will need is a peeler, sharp knife, cutting board, watermelon, and... a brain. Well, maybe two brains. You should already have one—the other you'll need for modeling purposes. If you've just got the one, then use it to do some Google Image searching for ones you'd like to mimic with your melon. As outlined by Instructables user connormashman, it's pretty simple. Just peel off the green skin of the watermelon with your peeler or knife, revealing the white layer intact, as the red innards make for the contrast and brainy look. 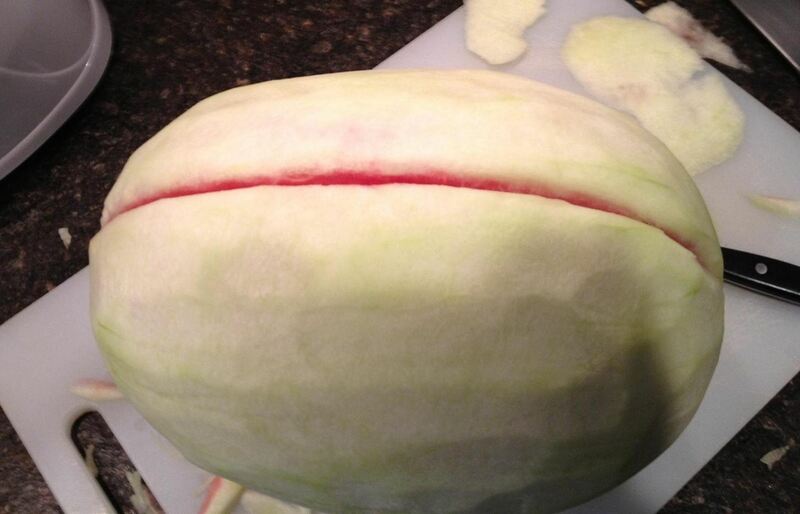 Once you have peeled the green layer off of the watermelon, the carving can begin. You may want to slice a line down the middle (do not cut all the way through) to divide it into the two hemispheres of the brain. Now you can carve in all of the curves and designs you want for your brain. 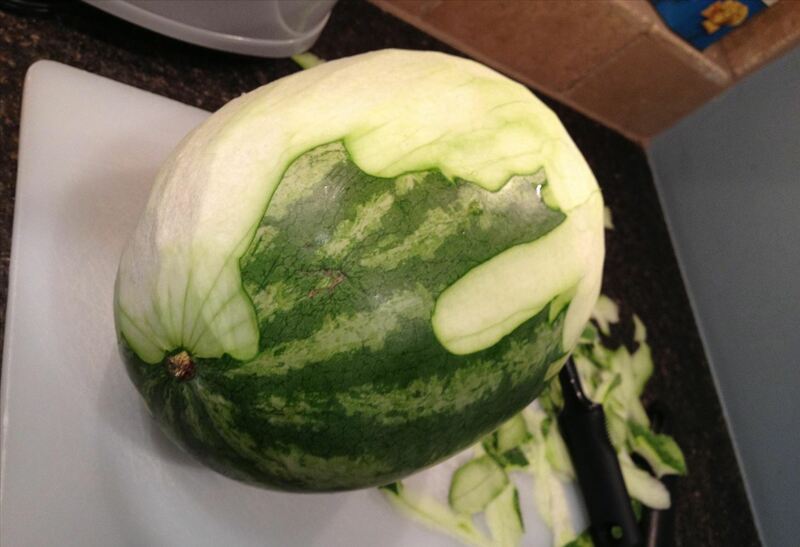 Once you have carved in your designs, the watermelon brain is done and ready for consumption. This would also go pretty good with your Sunday night Walking Dead parties. Check out the full guide from connormashman for more details and pics. Now I know what I'm going to use to scare the sh* out of my friends! You can also sprinkle some Mexican chili powder to add a more grotesque look, plus it tastes great too.